Some take pride in being sore after a workout and consider the aching muscles a badge of honor. It can be a bit of a gratifying feeling- your body telling you that you really pushed yourself hard in that workout yesterday. Although how sore you are the next day shouldn’t be a measure as to how tough your workout was. I’ll be honest – I kind of like being a little sore the day after a workout, but what’s actually going on here? What causes this soreness? And is it a good thing? Post-Workout Soreness: What is it? The soreness you feel post workout is referred to as delayed onset muscle soreness, or DOMS. The American College of Sports Medicine defines DOMS as “Muscle soreness that typically begins to develop 12-24 hours after the exercise has been performed and may produce the greatest pain between 24-72 hours after the exercise has been performed”. DOMS typically occurs when you introduce a new training stimulus – whether that be a new type of activity or exercise, or possibly a level of intensity or training volume that you are unaccustomed to. Every kind of muscle contraction can cause this muscle soreness, but eccentric contractions has shown to produce the greatest levels of DOMS. Eccentric means the lengthening part of an exercise – think of the lowering phase of a biceps curl, or a push up, or even running downhill. The muscle tension during this lengthening phase causes micro-trauma to the muscles. Along with inflammation, this micro-trauma is what is believed to be the cause of DOMS. Lactic acid is produced by the body as it breaks down glycogen. The accumulation of lactic acid is responsible for the burning sensation we feel during high intensity exercise. 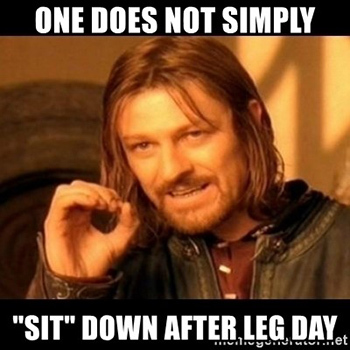 Research has shown, though, that this lactic acid gets cleared from the body approximately one hour following your workout, meaning that this is unlikely to be the cause of DOMS 1-2 days later (Herbert, de Noronha & Kamper, 2011). Though stretching a sore muscle may feel good and give you some pain relief, this is an acute response. Research has shown that static stretching has no influence on the severity or duration of delayed onset muscle soreness. Has a client ever cancelled on you due to their sore muscles? This is quite common and can be frustrating. It means slower progress for the client, and less money for you. What can you do to prevent DOMS from intruding on your client’s workout plan? First off, schedule some recovery within the training plan. I understand that many clients feel like they’re wasting their money if they aren’t consistently moving during the session and sweating up a storm. It’s up to you to get them to understand that recovery (between sets and between sessions), a proper warm-up, and cool-down, are all equally as important as the main lifts, and are necessary for success. You can slow down a session, while still providing quality service by adding extra instruction, doing corrective exercise, or introducing foam rolling techniques between sets. Second, progress slowly. We all want to reach goals as fast as possible but going too fast sometimes does more harm than good. It’s important to monitor training loads and volume. Begin slowly with new exercises and increase the intensity gradually. DOMS is a sometimes unavoidable issue, but with proper programming, you can minimize it, and the effect it has on subsequent workouts. American College of Sports Medicine. (2011). Delayed onset muscle soreness (DOMS). Retrieved from: http://www.acsm.org/docs/default-source/files-for-resource-library/delayed-onset-muscle-soreness-(doms).pdf?sfvrsn=8f430e18_2. Herbert, R.D., de Noronha, M., & Kamper, S.J. (2011). Stretching to prevent or reduce muscle soreness after exercise. Cochrane Database of Systematic Reviews, 6(7), CD004577. DOI: 10.1002/14651858.CD004577.pub3. Nicholas Lapointe was a competitive swimmer for 15 years. His passion for performance and understanding the how the human body functions lead him to pursue his Bachelor of Physical and Health Education from Laurentian University which he graduated from in 2014. 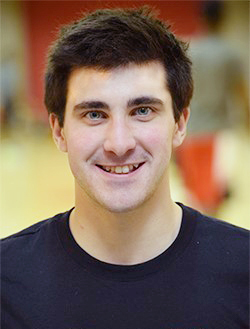 He then furthered his education at Niagara College where he obtained his Ontario Post-Graduate Certificate in Exercise Science for Health and Performance in 2015. He is now a Certified Exercise Physiologist through the Canadian Society of Exercise Physiology, as well as Level 1 Certified in Functional Movement Screens. He currently works at the University of Calgary in Calgary where he is the Coordinator of the Personal Training department as well as Head Personal Trainer.